Martha Louise Giles, 86, of Splendora, Texas passed away on Sunday, March 17, 2019. She was born on Tuesday, March 14, 1933, in Corpus Christi, Texas, to Owen and Julia (Owen) Horne, both of whom have preceded her in death. Martha was also preceded in death by her spouse, Edward Washington. Left to cherish her memory is her loving children, Jesse Owen Giles and wife Diana, Barbara Giles, Lou Ann Barrow and husband Bennie “Skip”, Marvin Gregory and wife Diane; brothers, Richard Horne and wife Gayle, Gary Horne and wife Bessie; grandchildren, Tracee McHugh and husband Eric, MaryAnn Smith and husband Dale, Jeremy Bratton and wife Sonja, Stephanie Barrow Garcia and husband Cannan, Jesse Giles, Jr., Heather Giles and Enrique, Charles Barrow, Wesley Hicks, Carrie Clemens and husband Justin, Stephanie Luna and husband Jamie; great-grandchildren; Madison Bratton, Ethan Bratton, Peyton Bratton, Brandon Barrow Young, Octavian Barrow Garcia, Emma McHugh, Ruairi McHugh, Bailee Smith, Addison Smith, Tanner Barrow Hicks, Kevin Kidd, Justin Garcia, Jacob Giles, Cora Giles, Esperanza Hernadez, Cecelia Hernandez, Isavel Madrigales Anabel Madrigales, Israel Madrigales, Draven Luna, Ryker Luna, Mason Clemens, Wyatt Clemens; great-great-grandchild, Leo Hernandez; along with numerous other loving family and treasured friends. 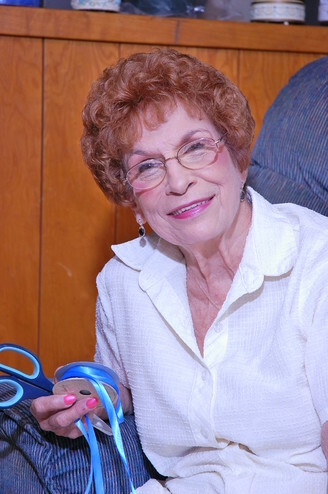 Visitation for Martha will be held at Neal Funeral Home on Wednesday, March 20, 2019, from 6:00 p.m. to 8:00 p.m. Funeral services for Martha will be held at Neal Funeral Home on Thursday, March 21, 2019, at 10:00 a.m. Interment for Martha will immediately follow at Splendora Cemetery. Greg Smith officiating.